The standard course content can be delivered over one day or customise to meet your specific requirements. it can be delivered on-site, to groups or one-to-one. In fact, we often customise it to suit the types of data, data sources and reports our clients use rather than stick to a standard course so that you can start using everything you learn straightaway. At the end of the course, participants will be able to describe some uses of Power Pivot in Excel 2010 and the data model in Power View for Excel 2010; to import data into a Power Pivot and create relationships; to generate Power Pivot tables and charts; to customise Power Pivot table and chart appearance; to create DAX measures and calculated columns; to generate reporting dashboards and management KPIs (Key Performance Indices). No previous experience required as we show you everything from the start but if you know a little about Excel formulas, one-to-many relationships in Access, SQL queries, VLOOKUP, Powerpivots Reports, you have a headstart. Plenty of hands-on practice, project and exercices – you can even bring your own files for practice. FREE Manual: we provide a training manual which covers the essential aspects of creating Powerpivots reports. FREE Support after the course – if you’re ever stuck with a measure, a PivotTable or can’t remember how to build a dashboard then you can get in touch for help! We specialise in running customised courses at your premises so that you don’t incur any travel and subsistence expenses. In addition, this means that you choose the date and times that suit you. Finally, being onsite means you can connect to your data, communicate with your team or database administrators as you try to apply what you learn during the course. But you don’t have to. We can also organise an offsite training session where you or your team at a location convenient to you, which will also minimise disruptions to your working day. Our courses are designed your team because you all work towards the same goals, face similar challenges and have the same understanding of your business. We do not run courses open to the public where confidentiality issues restrict the questions you can ask or people you don’t know discuss issues you don’t care about. If you’d rather have a one-to-one and explore the subject in depth and ask any question you need to ask, we can tailor our course to do just that. We are passionate about working smarter – PowerPivot is the ultimate in working smarter! 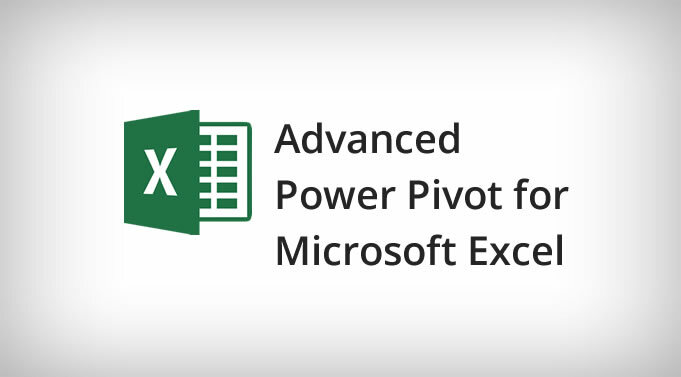 With 20 years’ experience in Microsoft Excel, 8 years’ experience in training accountants, business managers, consultants, individuals and teams, we guarantee that we can deliver a PowerPivot for Excel training session that will change the way you look at, and use, business intelligence.